​Kari loves to share her knowledge of quilting and specializes in training for Electric Quilt. 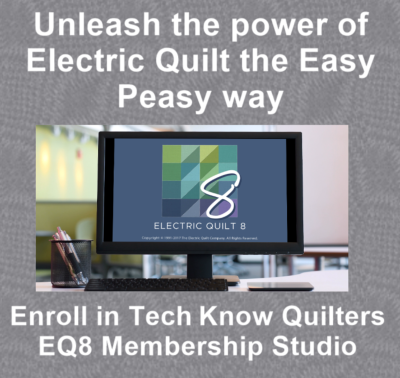 Master Electric Quilt software through private coaching with Kari. Learn more. Online, instructor led classes from the comfort of your home offering you a variety of Electric Quilt 7 topics. Learn more. Would you like to book Kari at your shop or guild's next event? Learn more.